I guess no one was reading when I asked that nobody bid on the doll. :-)) Yikes, I fear I'll have to give the husband a year's worth of daily foot massages if I'm to win her...but, those doll eyes, the wonderful colouring, the beautiful tattoos, the perfectly jointed body... it all overrides any rational thought about 365 days of foot massaging. Right? Right?? I hope somebody from the forum got her! Me too! It was a good price I think. As usual I was watching but not bidding. Maybe someday! It was more than a good price, it was a steal! Congratulations to the new owner-- you will love her! Unfortunately for me, I waited until the last few minutes and then decided bidding would be futile because she would skyrocket out of my reach, but I was astounded at the winning bid. Enjoy! whoever got her. I will have to wait for another auction. 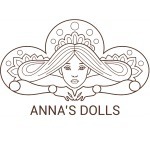 Perhaps I can persuade Anna to make me a custom doll. 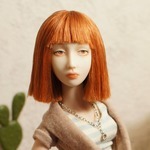 I really hope to see more of this doll. She is gorgeous. Love all the accessories that were made specifically for her character. Oh, Sutton, i was so so tempted, but i am waiting for my two beautiful dollies so i couldn't spare any money at the moment. 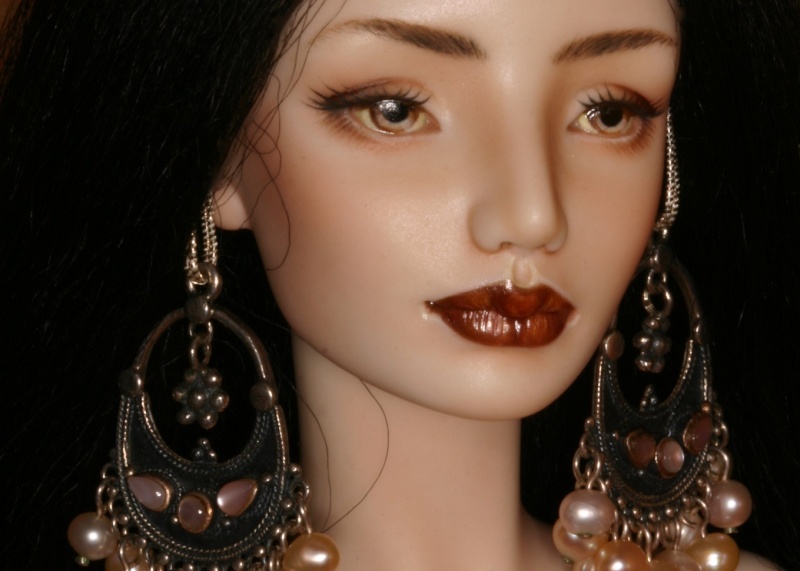 This doll was absolutely stunning, somebody is very lucky to have her. A lot of work and something new for me there - glaze, real gold and acessories. Wow! I love everything about her, but especially those feet!!! Good luck with your auction! I wish I could bid, but sadly I am out of dolly funds for the time being! Is there an emoticon for "swoon"?? I need virtual smelling salts too. LOVE HER. I've been waiting for Anna to do some gold work! Just look at the precision of the mehndi painting and the whites of the nails and toenails! Go for it Sutton, she will be a lovely match with your bride! She is just so ornate! She is so amazing! I love that tattoo/henna! Sutton, love your comments ) thank you so much! fitz, allurose, thanks a lot! In this work I changed a bit the shape of her breast, I changed the shape of her legs, made the line more graceful and subtle, I used glazes for decorate and some real gold 9K.